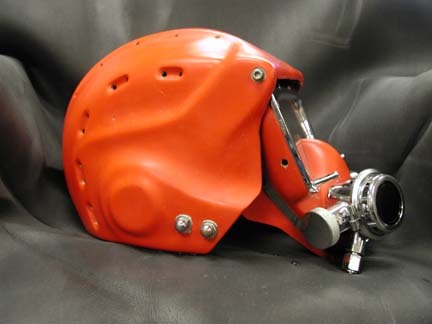 World leader as a helmet manufacturer. 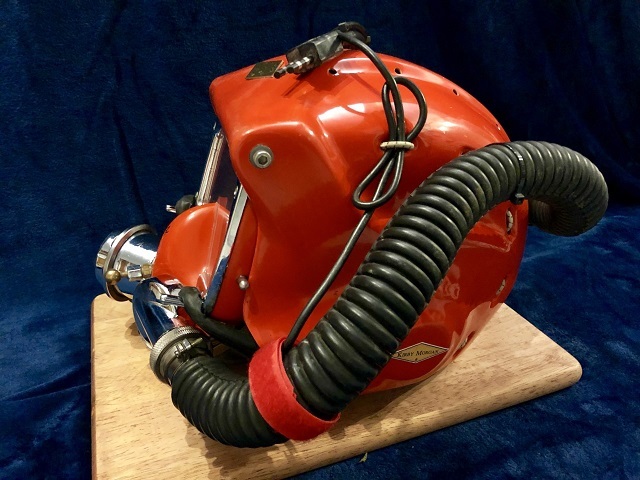 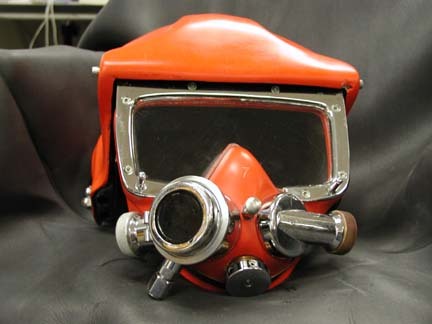 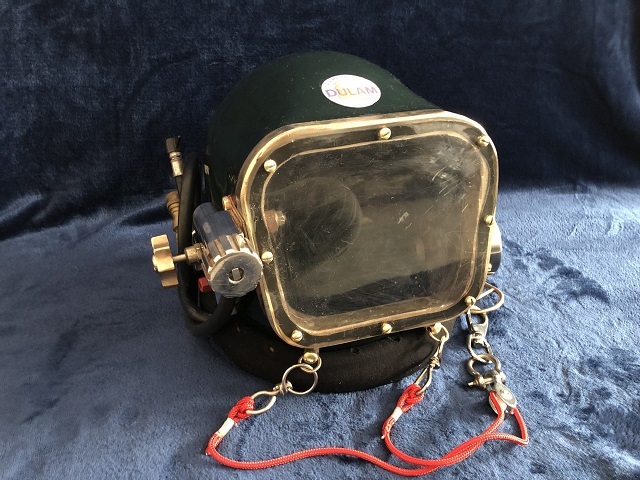 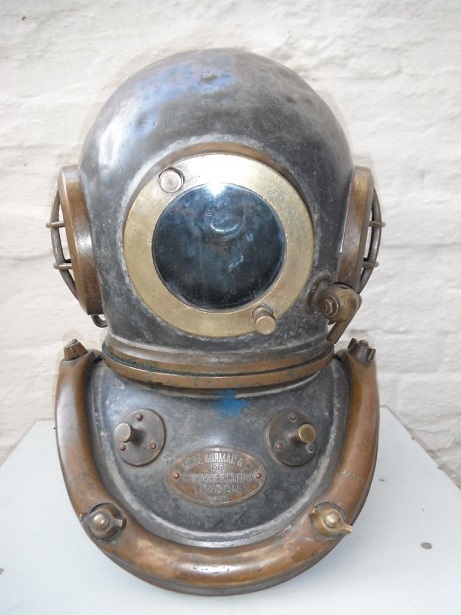 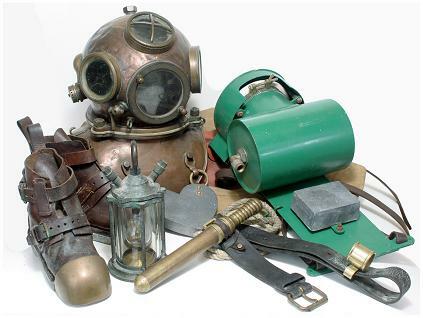 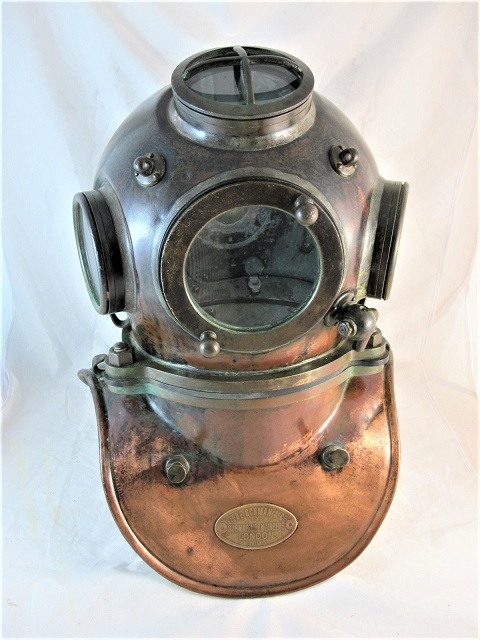 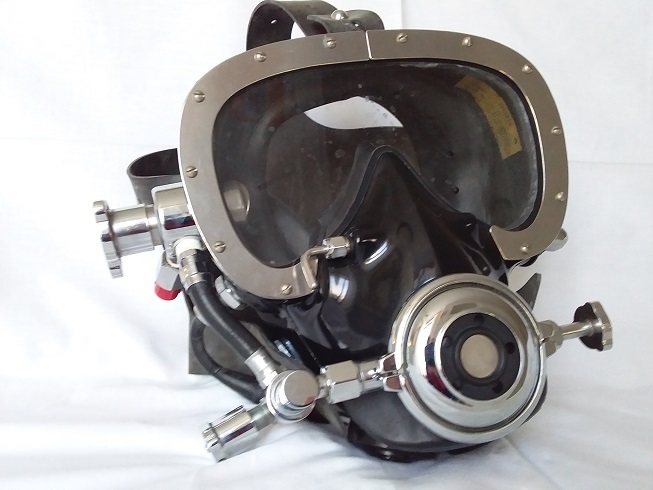 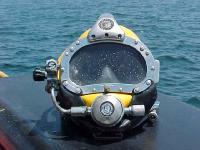 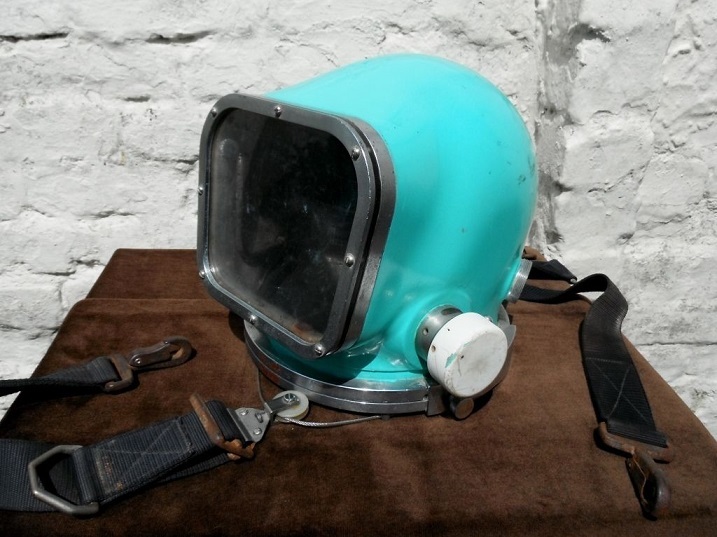 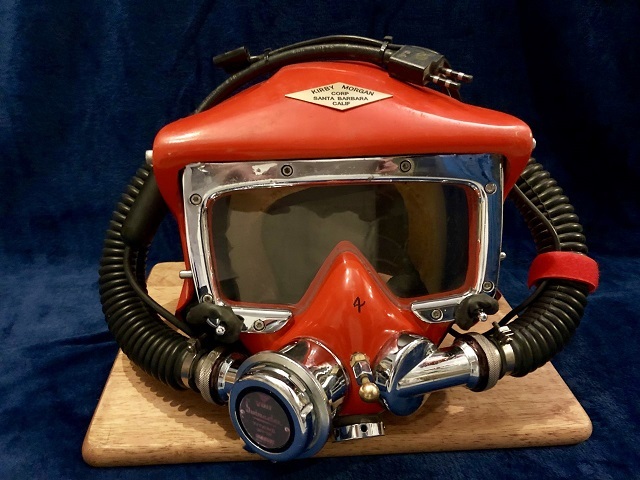 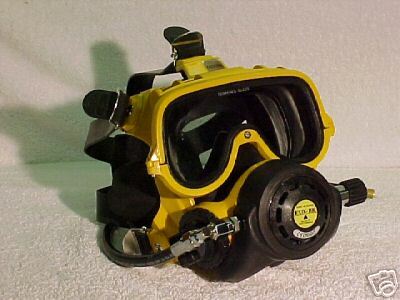 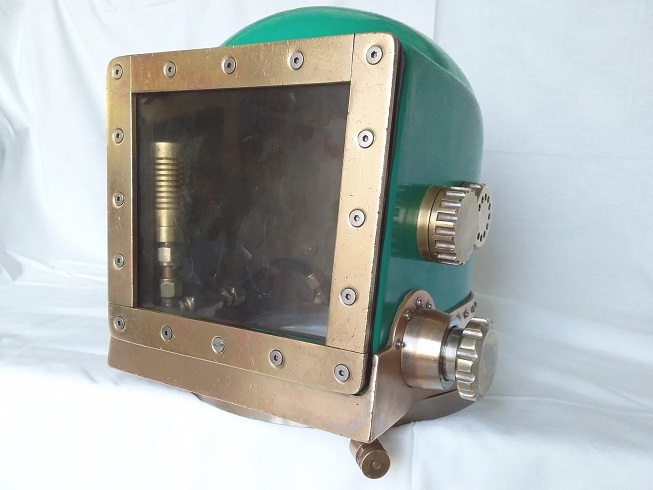 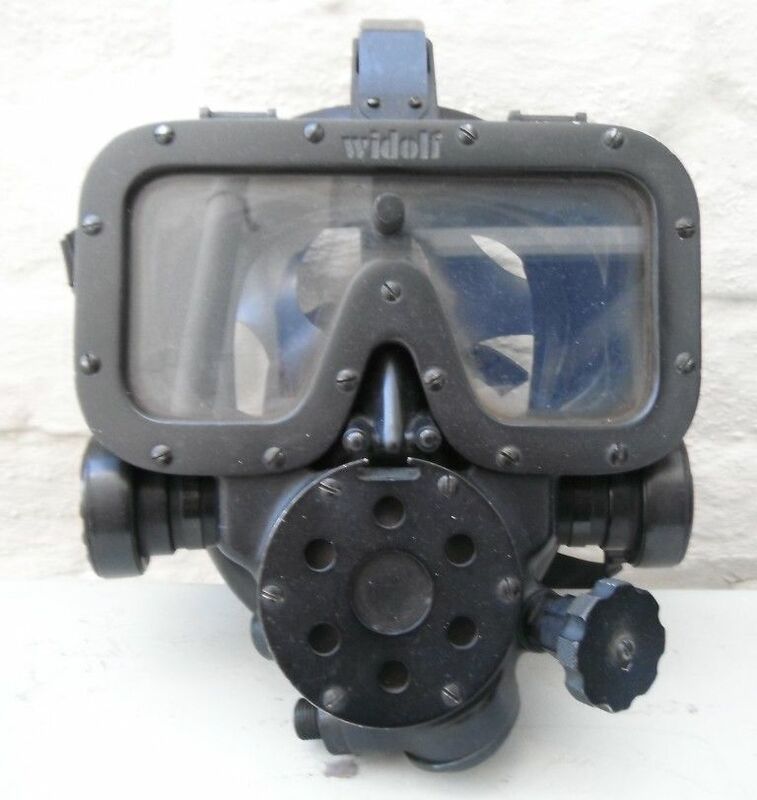 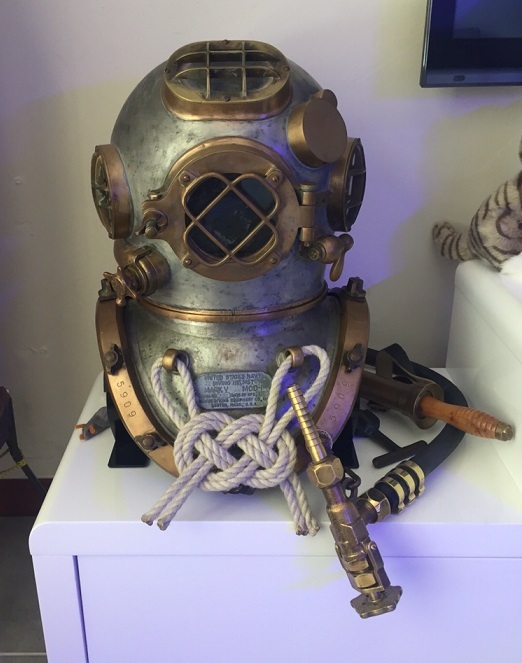 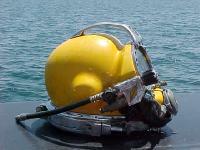 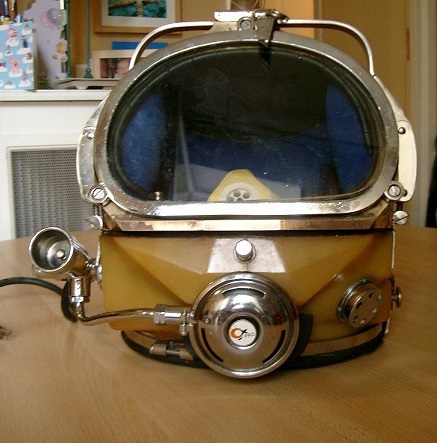 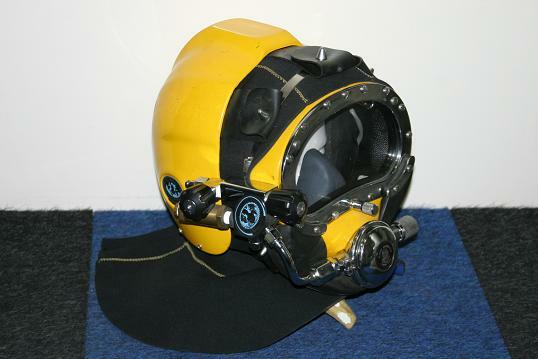 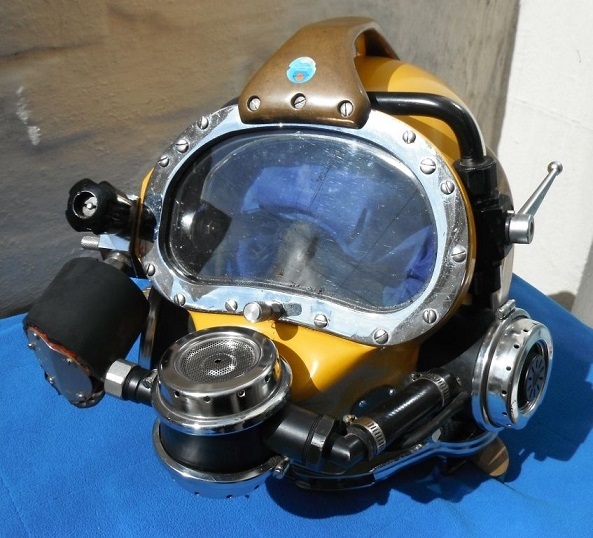 Bob Kirby and Bev Morgan began to manufacture commercial diving helmets in the 1960's. 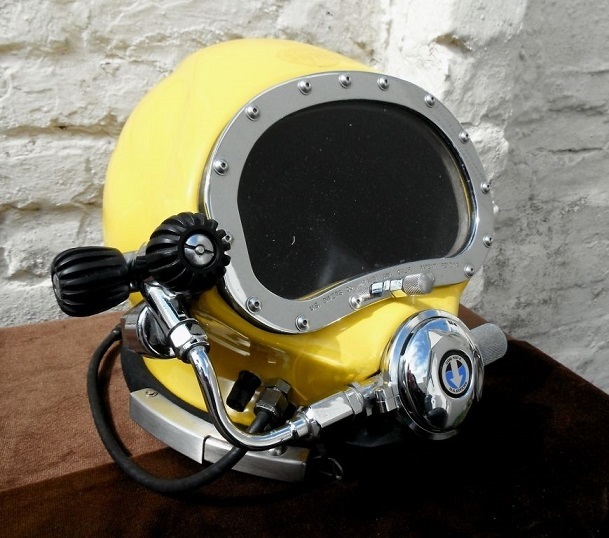 Definitly the best selling helmet ever. 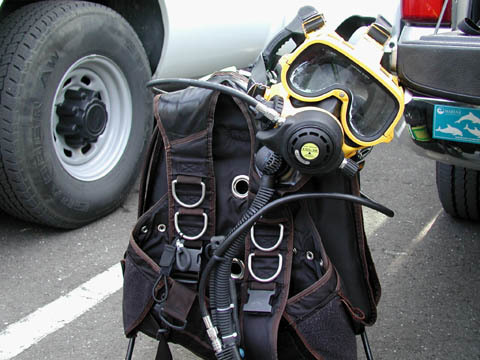 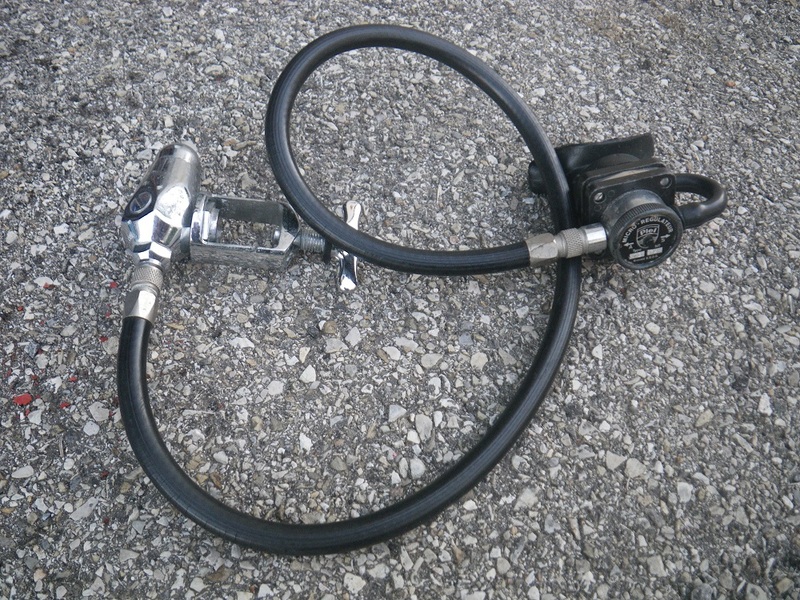 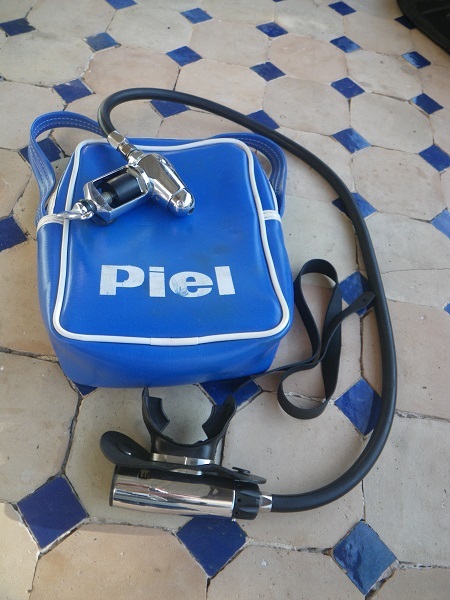 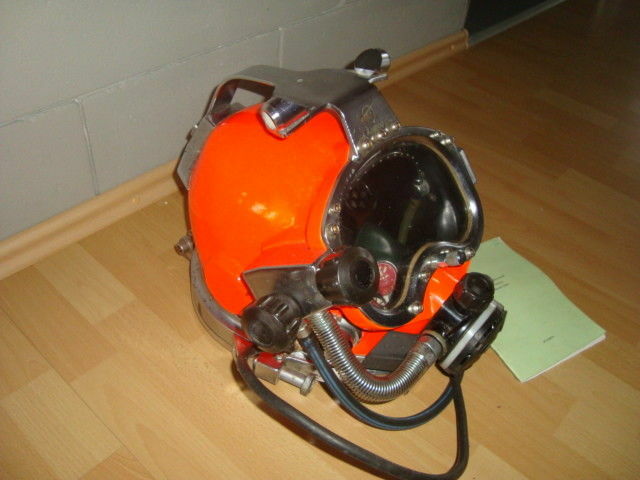 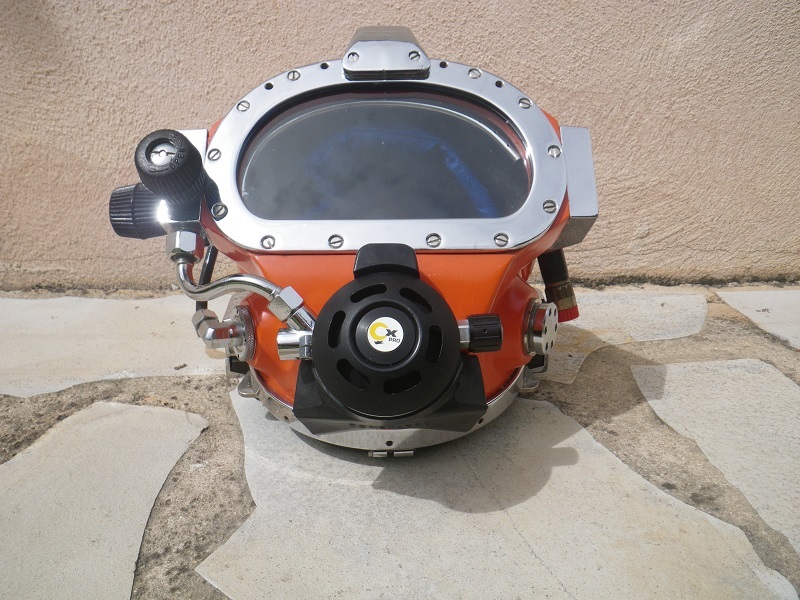 The KM 19 has herited from the KMB 16 design previously distributed bu US Divers, like the first KM 17. 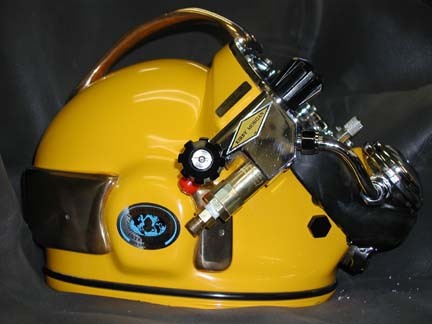 New evolution of the KM 17 with a new neck collar and neck dam locking system, similar to the one on the Comex Xlite. 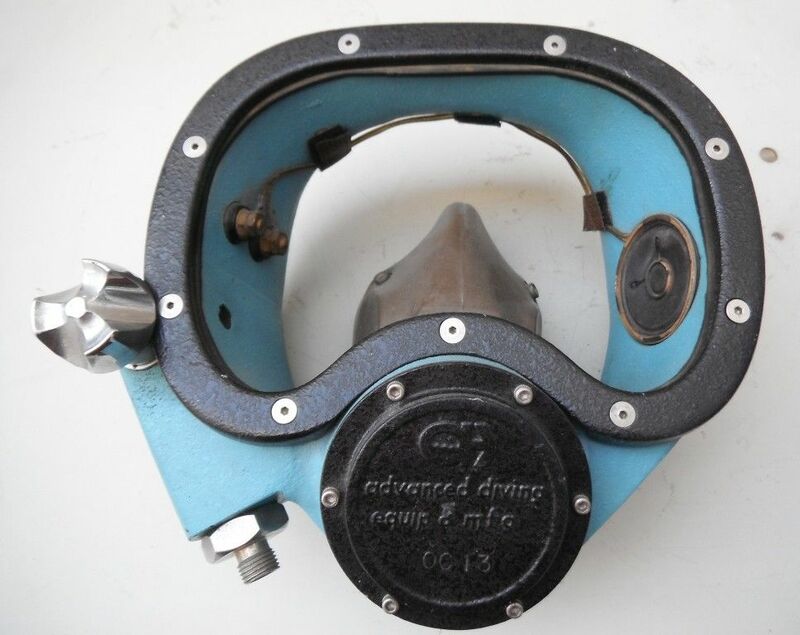 Kirby morgan bandmask still being used today. 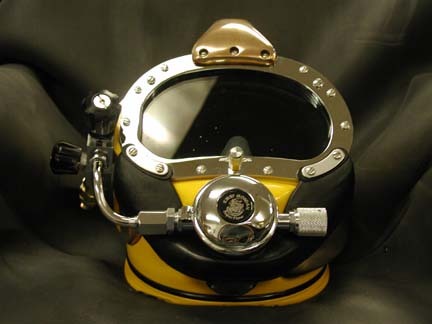 KMCHS stands for Kirby Morgan Clam Shell Helmet and was designed for the US Navy in 1968. 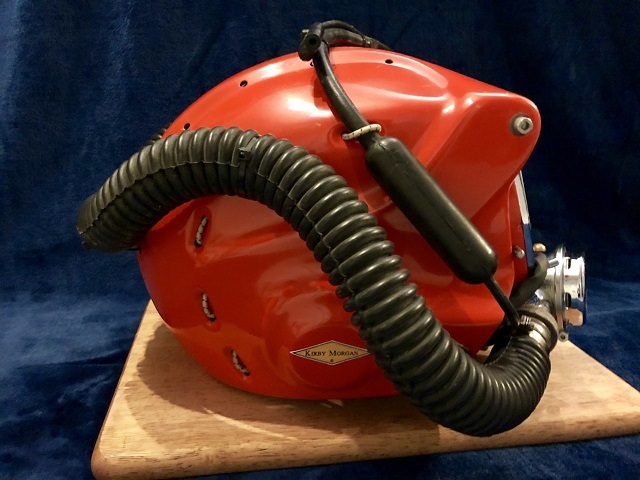 According to Kirby Morgan web site "Twelve of these helmets were made in 1968 for the U.S. Navy, & eight for Commercial use" twenty clam shell helmets were made. 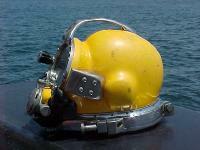 This Clam Shell is in superbe state.